A few days ago I stumbled onto this scene. 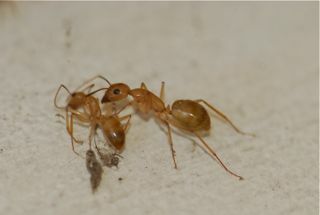 A tiny spider was running rapid circles around this carpenter ant worker. The ant was struggling. (This would have been better as a video, but I had to make do.) 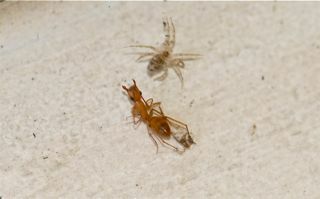 The spider was spinning around with its abdomen towards the ant. Another bigger ant stopped by to rescue the minor ant, but the spider ran and hid a few inches away and the bigger ant eventually wandered away. As soon as the other ant was gone, the spider came back to claim its prize. It’s a dangerous world out there for ants. Have you ever seen a spider catch an ant? Ants, ants, ants. People seem to love them or hate them. 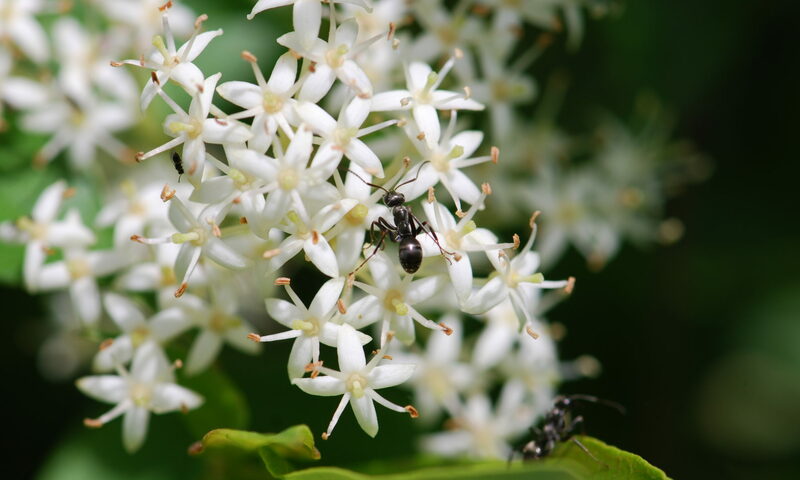 This little blog is devoted to those of you who find ants fascinating. Hopefully we’ll have some fun, and learn more about the little creatures on the way.